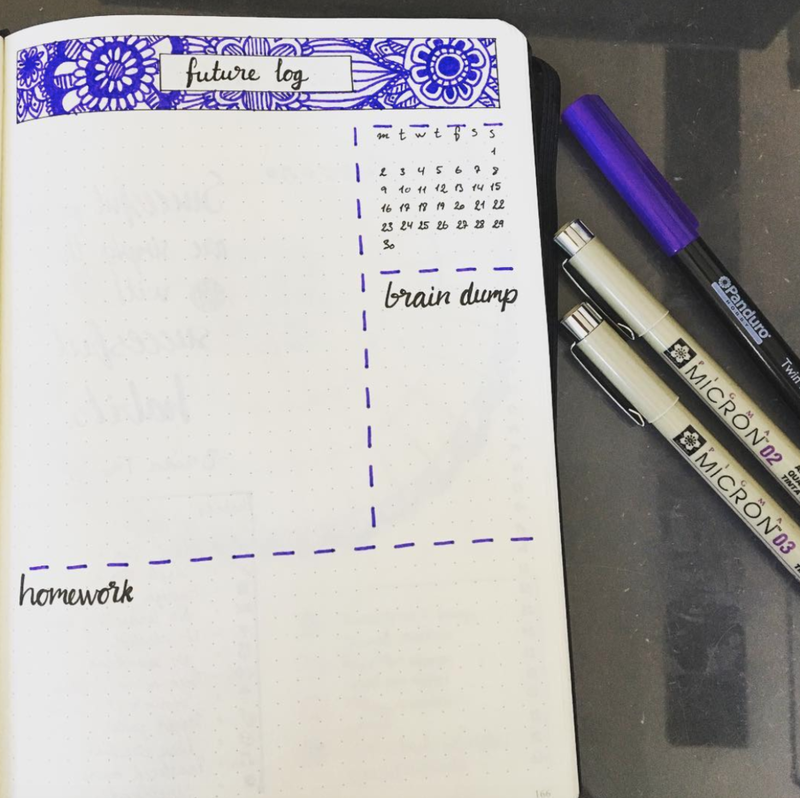 Here's a page your bullet journal needs...a future log! A bullet journal varies from a planner in the fact that you use and create pages as needed. Since your months, weeks, and days are not all pre-printed, a future log becomes very important. 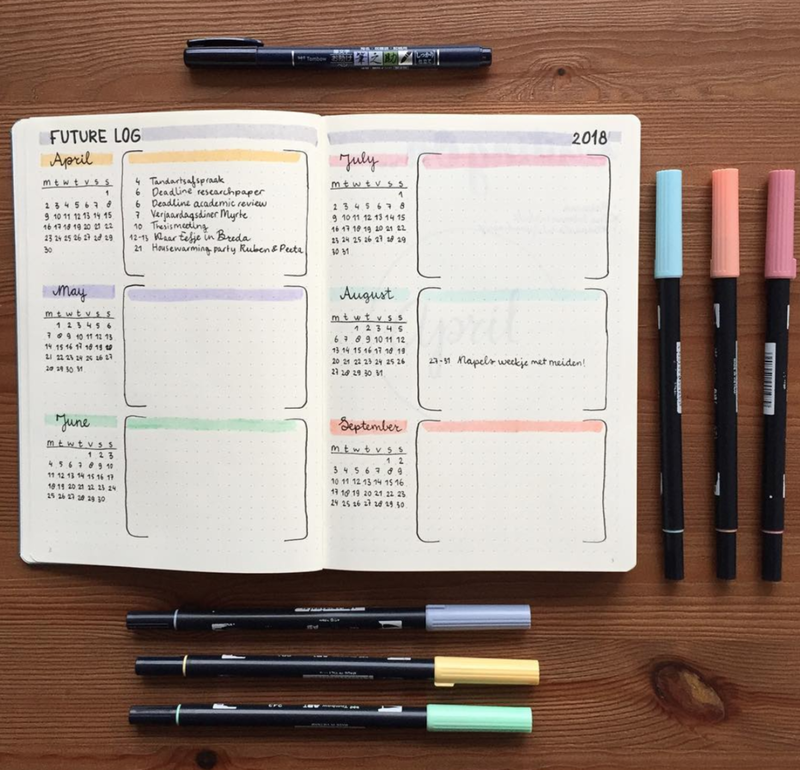 Future logs are the place to record pertinent information so that when you are ready to create a monthly or weekly spread, you have important dates and plans at hand. 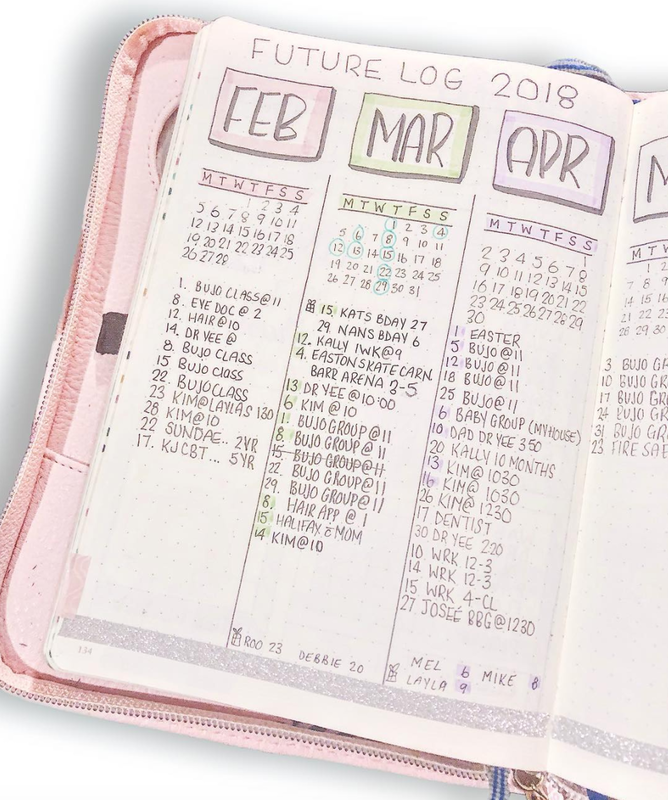 Ryder Carroll, the bullet journal creator, uses it as a place to record all future plans. It's a place to make note all of the things you have to look forward to including birthdays, anniversaries, vacations, parties, and other important events and meetings. Bujopagess future log in a minimalistic layout adorned with plant stickers. Prettyinkdiary future log is simple, colorful, and packed with upcoming important dates. 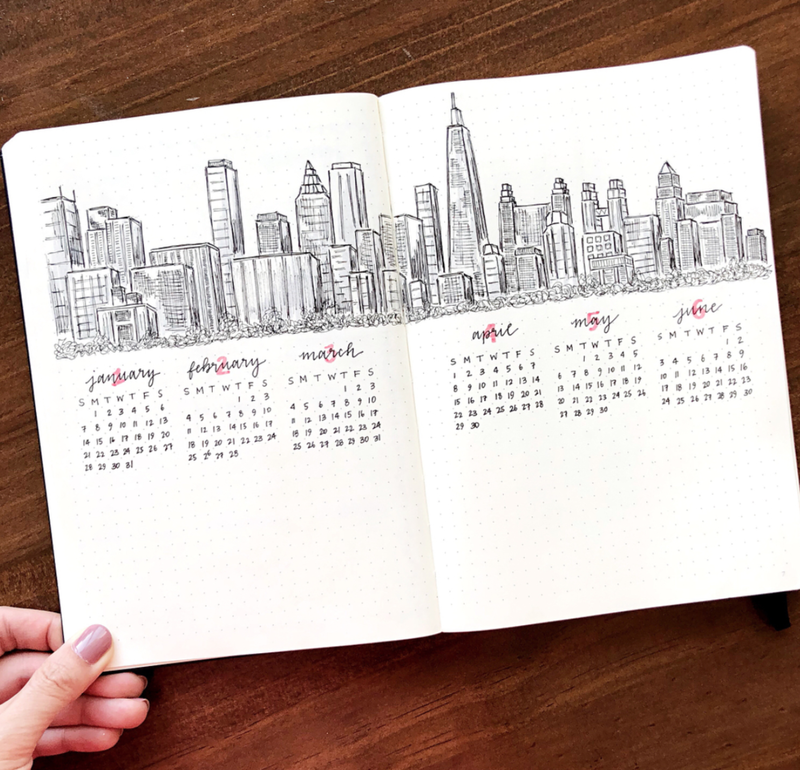 Persnickets future log has a skyscraper design above monthly calendars. At the bottom is open space to record future dates and important information. Whyblue future log provides the entire year at a glance along with open space to write down upcoming important dates and information. Jenmccuthbo future log lists out every day of the month with space to record upcoming events and appointments. Inspirationthroughcreation future log provides a calendar for each month along with space for events, appointments, tasks, holidays, and birthdays. Monokromajic future log includes a beautiful leaf motif, monthly calendar, and space to write important events and appointments. Bulletjournalinginsta future logs have a bit of color to highlight upcoming events for each month. Imhp_bulletjournalist creates a future log with a pretty motif at the top. There's a handy monthly calendar, space for upcoming events, brain dump, and homework assignments. Ablackbirdsbooks uses simple boxes highlighted with Tombow Markers to record future dates and appointments. Herardentwish made a beautiful minimalist future log with space to record important events for each month. Care.jo.line future log is decorated with washi tape and a pretty cloud scape. It's a place to look at months at a glance and note important dates and appointments.